The Sochi Winter Olympic and Paralympic Games have ended. The opening ceremony for the Tokyo 2020 Olympic Games is still more than six years away. As the Tokyo Organizing Committee is forming, this seems like an appropriate moment to think about Tokyo in terms of the recent Sochi experience. First and foremost, Olympic Games are about athletic competition. All aspects of the organization should be subsumed under this goal. Sadly, security has of late become a similarly overarching goal. For Japan and for Tokyo, the 2020 Games are a significant opportunity to invite and speak to the world, in part to build soft power, but also to invigorate Japanese society. With these goals in mind, the organizing committee should consider turning the hosting activities into a much more civil society-driven Community Games. Ignoring the colossal waste of public resources, Sochi has been a rousing success as far as the goals of athletic competition are concerned. While not many world records were broken and few identifiable faces emerged from the crowd of athletes, there were no disasters and only very few (doping) scandals. Weeks from now, we will remember virtually nothing about Sochi itself and most preconceived notions about Russia will have been confirmed (not least by the overlap with events in the Crimea). 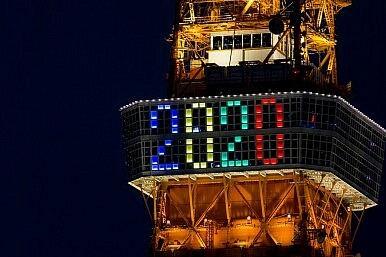 Will the world think differently about Tokyo and Japan following the 2020 Games? Substantial public money will be invested in the Tokyo Games, so taxpayers should expect a return beyond the magical but ephemeral weeks of competition. What opportunities do the Games present for Japan to build soft power and invigorate civil society? Over the past decade, Japan has come to be perceived (domestically and abroad) as more and more of a recluse. Terms such as the Galapagos Syndrome, but also Japan’s foreign policy vis-à-vis Asian neighbours have fuelled this perception. A Tokyo Olympics that is not just instructed from above to welcome the world by adding more English-language signage to streets and subways, but that becomes genuinely engaged in hosting neighbours, visitors, and athletes would not only do much to address this perception of isolation, but would actually engage with some of the causes of this perception. An engaged Olympics could also be a new step in the evolution of the Olympic movement. In past Games, an army of volunteers has been a prominent component of the organization. But, they’ve been just that, an army, performing tasks that had been assigned to them by the overall organization. What about a model where communities actually engage in activities that contribute to the hosting of the Games? This would build on the success of the one school-one nation program introduced at the Nagano Winter Games, but expand it to communities. Imagine a Tokyo neighbourhood hosting activities around women’s field hockey during the Games that brought families of athletes together with local sports clubs? What if such an engaged community also had a presence at the sport’s venue by providing volunteers? With security necessities increasingly isolating venues from host cities, this divide could be overcome through involved communities. This one-district-one-discipline initiative would also counter the inherently nation-focused nature of the Olympics. Organizing around a discipline holds the promise of the kind of global coming together to which the Olympic movement aspires. Other opportunities may lie in a focus on technology that would harness the potential of “Olympics 2.0,” a move away from a single-point-broadcast model to more interactions and engaged communications. As an ageing society, Japan could explore models of volunteer engagement by seniors, or competitions targeting older athletes. Non-ethnic Japanese athletes have enjoyed tremendous athletic success and their (communities’) involvement in Games planning could transform their role in larger society. There are numerous possibilities of this kind that speak to Japanese economic and social strengths. Harnessing creative energies could make the Olympics a transformative moment, not just for perceptions of Japan abroad, but for the vibrancy of Japanese society as well. Julian Dierkes is an associate professor and the Keidanren Chair in Japanese Research at the University of British Columbia (UBC) in Vancouver, Canada. He was a volunteer at the 2010 Vancouver Olympic and Paralympic Winter Games, and the 2012 London Summer Olympic Games. Nanami Akimoto is a graduate student in Asia Pacific Policy Studies at UBC.